The members of the 2017 Financial Analyst Program were selected from hundreds of applicants - to now learn the finer details of being a Financial Analyst. Ken is a proven business leader, financial advisor and self-starter entrepreneur. Having a broad experience in specialized fields of finance, money and investment management, equity research, estate planning, insurance and macro -economic analysis. This includes extensive experience in personal investing in the financial markets and real estate. 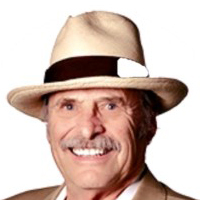 His career featured frequent public appearances by broadcasting twice a day and was considered one of South Florida’s most informative and accurate radio investment talk shows. On this talk show, Ken conducted numerous interviews with many eminent notables in finance, economics and government including Sir John Templeton, Louis Ruykeiser, Gov. Jeb Bush, Peter Peterson, John Bogle, William O’Neil, John Snow and Robert Reich, and many others. Ken appeared regularly to give Semi-annual Economic and Forecast Galas in public speaking seminars in South Florida before an auditorium of people featuring investments in the capital markets and board forecasts about the markets and the economy. He was also frequently interviewed in Barons Wall Street Journal and local newspapers, such as the Palm Beach Post and Miami Herald, with several guest TV appearances on the Nightly Business Report; one of which he forecasted the 1987 Stock Market Crash. Ken published the 21st Century Research Newsletter for over 25 years forecasting markets and the economy. Born in New York City, Casey A. Carroll spent several formative years growing up in Miami before returning to the concrete jungle. Prior to enrolling in the Financial Analyst Program at FAU, Casey spent over 10 years working in many facets of the entertainment industry in Los Angeles. 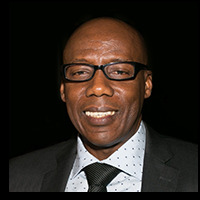 Casey was most recently a partner at an independent television, film, and commercial production company where he oversaw the financing, development, production, and release marketing of over 15 television series and films. Some career highlights include Transcendence (starring Johnny Depp and Morgan Freeman), End of Watch (starring Jake Gyllenhaal and Michael Pena), and the Academy Award Winning documentary, Undefeated. 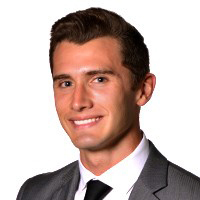 Casey is currently interning at Comvest Partners, a Private Equity firm in West Palm Beach, Florida and will be pursuing his CFA Charter after he completes the FAP program. 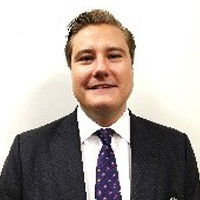 Joseph Huempfner is a South Florida native pursuing a career in the financial services industry. In addition to completing the Financial Analyst Program this spring, he will be graduating from FAU in May of 2018 with a bachelor’s degree in finance. Joseph was selected to represent the university in the 2018 CFA Global Equity Research Challenge. He and his teammate advanced to the state finals to present their equity research report covering Harris Corp., a Florida-based communications technology defense contractor. Prior to beginning the FAP, Joseph completed a rotational banking internship with Stonegate Bank in Jupiter, FL. He currently works as a Licensed Real Estate Sales Associate for Riverside Realty of Florida and has been with the firm since he attained his Florida real estate license at the age eighteen in 2016. He intends to sit for the CFA Level I Exam in December of 2018. In his spare time, Joseph travels throughout the U.S. to compete in standup paddleboard races as a sponsored athlete for Flying Fish Board Co.
Esrael Morales was born in West New York, New Jersey. He is the first generation of his Ecuadorian-native family to be born in the United States. Esrael recently graduated with his Bachelor of Business Administration Degree with a major in Finance from Florida Atlantic University. Currently, he is working as the Asset Optimization Analyst for Latin American operations at SBA Communications Corp. 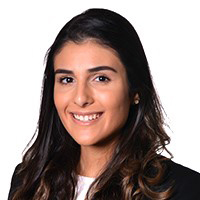 Upon completion of the Financial Analyst Program at Florida Atlantic University, Esrael plans to pursue the Chartered Financial Analyst designation and continue to grow within the finance industry. Born in Salt Lake City, Utah, Mi Nguyen is currently participating in the Financial Analyst Program at Florida Atlantic University while simultaneously pursuing a Bachelor’s degree in Finance. As a technology enthusiast, she dabbled in software development and continues to pursue that interest in the form of financially applicable digital technologies. Prior to the Financial Analyst Program, she was an intern for the South Palm Beach County Foundation, a non-profit organization that focuses on impact investing and venture philanthropy, based in Boca Raton, Florida. 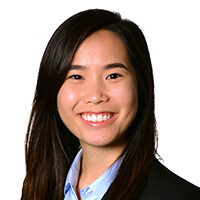 After graduating in May of 2018, Mi intends to use her array of acquired skills to pursue a career in the financial industry while preparing for the CFA Level 1 exam that she will sit for later in the year. 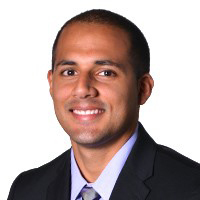 Raised in Miami, Florida, Angel Ramirez attended Florida Atlantic University where he received a Master’s Degree in Finance and a Bachelor’s Degree in Economics, with a minor in Business Administration. Angel’s interest in finance came his junior year as he became entrenched in learning more about global events and the financial market. 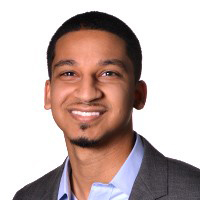 He made the decision to apply for the Financial Analyst Program to obtain the analytical skillset and have the foundation needed to have a successful finance career. Angel is sitting for the CFA level 1 exam this June and is currently seeking opportunities in the industry. Thereza Rodrigues was born in Rio de Janeiro, Brazil. She is currently a senior at Florida Atlantic University, where she is pursuing a Bachelor of Business Administration in Finance with a minor in Economics. During her college career, she has completed internships with United Capital Financial Advisers and Banyan Global Investment Advisors. Thereza also serves as the Vice President of The Investors' Association, FAU's one and only Finance club, where she has established the university's first student managed fund. Upon joining the Financial Analyst Program, Thereza was chosen to represent FAU in the 2018 CFA Global Equity Research Challenge. She has secured a Summer Analyst internship at Goldman Sachs, and is planning on pursuing the CFA designation upon graduating in December of 2018. Flavia Villamonte was born in Lima, Peru and raised in Jensen Beach, Fl. 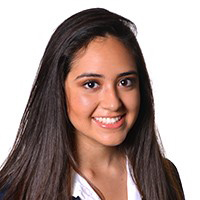 She is currently a student of the Financial Analyst Program at Florida Atlantic University in addition to pursuing her undergraduate degree in Finance with a minor in Economics. Flavia is very involved on campus and holds leadership positions as the Senior Vice President of Delta Sigma Pi, a professional business fraternity, and as Chief Marketing Officer in The Investors’ Association. In the fall of 2017, Flavia was a Fixed Income Analyst at Banyan Global Investment Advisors, a local private wealth management firm. During her time there, Flavia did extensive bond research under the guidance of Danny Reich, principal and founder of the firm, and Lori Fernicola. After graduation in May, Flavia intends to attain employment in finance and continue to learn about her career. In addition, Flavia plans on sitting for the first level CFA shortly after graduation. Dr. Rainford Knight is the creator of the FAP program. His experience spans both academia and industry. His academic career started as an Assistant Professor of Finance at Fairleigh Dickinson University (FDU) in Madison, New Jersey and then as a mergers and acquisitions senior manager in the financial services industry.